Clark County authorities on Friday issued an arrest warrant for prominent poker player William Edward “Ted” Forrest in conjunction with an outstanding and unpaid judgment owed by Forrest to the Wynn Las Vegas casino. The arrest warrant, per local Vegas reports, accuses Forrest of theft and bad-check charges dating all the way back to 20102, in connection with unpaid markers issued by Wynn to Forrest for $270,000. According to an LVJR update, Forrest wrote two bad checks to Wynn, in October of 2012 and May of 2013, respectively, for a total of $215,000. The bad-check episodes then prompted Wynn to take civil action aganst Forrest: In 2013, Forrest signed a confession of judgment in Clark County Civil Court acknowledging the total debt of $270,000. 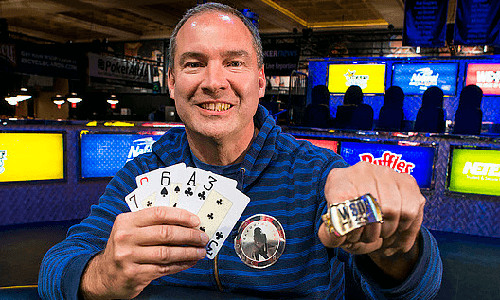 Ted Forrest won his latest WSOP bracelet in 2014. Forrest also agreed to a payment schedule, including ten installments of $10,000 each, plus a lump-sum payment of $170,000. However, according to the latest complaint, Forrest did not fulfill his payment obligations. 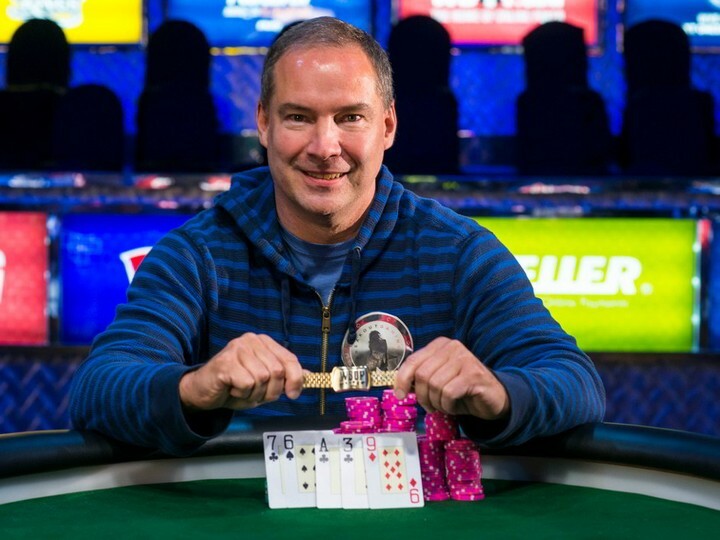 This latest situation continues the recent financial woes for Forrest, a six-time WSOP bracelet winner who has amassed over $6 million in career tournament winnings. However, with the exception of a small six-figure win in a $1,500 WSOP razz event in 2014 and a fourth-place showing in a WSOP tourney this past June, it’s been a dry run for Forrest on the tourney scene since 2011. Forrest has been in the news in other ways, and not in a complimentary way. Back in 2010, during better days, he entered into a well-publicized prop bet with Vegas poker veteran Mike Matusow. Forrest was scheduled to win $2 million if he could shed 50 pounds, taking his weight down to a skeletal 140. Forrest completed his weight loss according to the terms of the bet, only to have Matusow renege on the vast majority of the owed wager. Forrest took the matter public in 2014, calling out Matusow on social media. According to Forrest, Matusow only paid $70,500 of the approximately $1.8 million of the $2 million that Matusow was responsible for paying. Matusow, in continuing his own shady history in financial matters, cited his loss of perpetual income from the original Full Tilt Poker as justification for not paying Forrest. Matusow was a minority owner in the original FTP, which closed after 2011’s “Black Friday,” and Matusow had long since squandered the many millions his ownership stake and endorsement rights provided. Forrest, though, has a similar history of squandering millions. 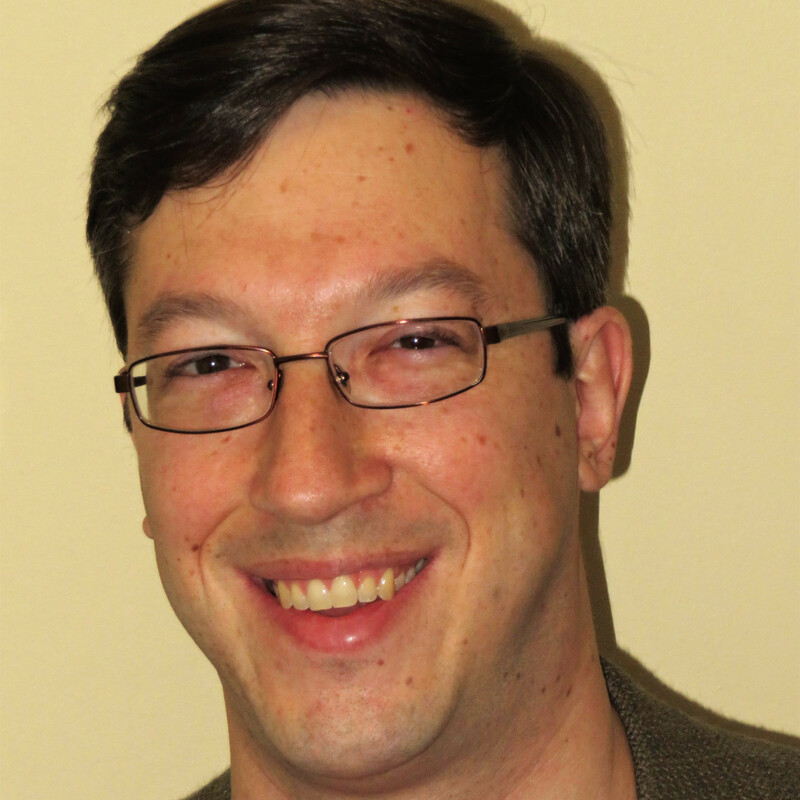 As originally published by this writer in research on the insider-cheating scandal at UltimateBet, Ted Forrest was one of the prominent player-owners of that site. Forrest owned over 10 million shares of stock in UltimateBet parent company Excapsa, and was believed to have received several million dollars in distributions from the company and via Excapsa’s highly successful IPO on the London Stock Exchange last decade. Forrest’s ownership position was among several such stakes revealed through an outing of ownership proxies insiders alleged was orchestrated by former UltimateBet CEO James Ryan, purportedly to force Excapsa’s execs to release Ryan from a non-compete clause and allow him to jump to a similar role at PartyPoker. The tales of both Forrest and Matusow show how many of the poker players involved in UltimateBet and Full Tilt threw away huge amounts of money in the pursuit of a couple more years’ of fool’s gold, meaning the precarious existence of these large US-facing sites in the years following the 2006 passage of the US’s UIGEA. Of connected interest is that both Forrest and Matusow were previously and frequently considered as finalists for election to the Poker Hall of Fame. Both were even finalists in the same year, 2014, that Forrest went public with his expose of Matusow’s debt-welching. Neither man appears to currently be regarded as a serious candidate for election, given their recent troubles.